Sanford Elberg, a professor emeritus in the UC Berkeley School of Public Health and former dean of the Graduate Division long remembered for his good-humored approach to life died April 8 in Ukiah, Calif. He was 97. Born in Dec. 1, 1913 in San Francisco, Elberg received his undergraduate and doctoral degrees in bacteriology from UC Berkeley. He began his teaching career on campus in 1938 as lecturer of immunology and microbiology in the School of Public Health. Beginning in 1940, Elberg served in the Army and was stationed at Fort Detrick in Maryland for five years as an officer researching bacteriology. In 1943, he married his wife of 65 years, Sylvia Marans. Elberg returned to UC Berkeley after World War II ended as professor in the department of bacteriology and continued research he had begun as an army officer on immunity for brucellosis, a bacterial disease that primarily affects sheep and goats but can also affect humans. Elberg developed a live vaccine for brucellosis and worked under the World Health Organization to demonstrate its effectiveness among Spanish goats. This Rev-1 vaccine is now being used around the world to prevent the spread of brucellosis. Between 1952 and 1957, Elberg chaired the department of bacteriology. In 1961, he was appointed dean of the Graduate Division, serving amid student unrest of the Free Speech Movement and the Vietnam War. During an interview for the Bancroft Library Oral History Project in 1989, Elberg said the challenges of addressing affirmative action in graduate student admissions brought into question the authority of the dean at the time. "The (inherent authority) was zero," he said in the interview. "The dean of the Graduate Division operated, in my view, entirely by persuasion, cajoling, nudging, screaming and rational argument." During his 17-year term as dean, Elberg worked under the philosophy that every decision should be made with the department in question's "understanding" and "good will." Judi Sui, assistant dean of the UC Berkeley Graduate Division, was a student worker in the dean's office when she first met Elberg in 1974. Although she never directly interacted with him, she said she remembers his energy and enthusiasm. "He was a little dynamo," Sui said. "He did a lot for graduate education and was always rushing around." Elberg retired at age 65 but remained active with university in the subsequent years as director of the UC Education Abroad Program's United Kingdom program, chair of the campus division of the Academic Senate's Committee on Academic Planning - which put out a controversial report proposing a remodeling of the academic and administrative structures of the campus - and president of the Faculty Club. 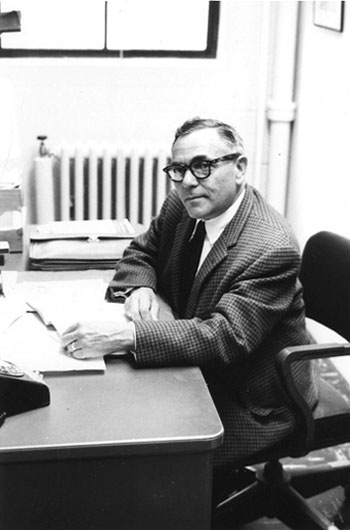 Over the course of his career, Elberg was named a John Simon Guggenheim Fellow in 1957 and a fellow to the American Association for the Advancement of Science. He chaired a National Science Foundation subcommittee in 1977 and is the namesake of the UC Berkeley Institute of International Studies Sanford S. Elberg Lecture Series established in 1987. In his introduction to the Oral History Project, late UC Berkeley professor emeritus of political science Carl G. Rosberg remembered Elberg as a person always willing to help. "He was remarkable in that while he was a world recognized scientist who made major contributions in his field, he was also the ideal dean who made others feel that what they were doing was important and he was there to help," Rosberg wrote. Elberg is survived by his son, Graeme Elberg, daughter, Cassandra Elberg-Gibson, and son-in-law Chris Gibson. A memorial service has been scheduled for May 6 at 5 p.m. at the Gibson house in Ukiah, Calif.